They’re big, they’re expensive and they’re difficult to install and maintain. But for fans of worm tub condensers, there’s nothing quite like them for creating a spirit of complexity and character. As new distilleries rediscover their fascinations and frustrations, Tom Bruce-Gardyne investigates. For those ancient alchemists who distilled the first spirits, distillation was like death, for it allowed the spirit to rise up and leave the body behind. However, separating the heavenly vapours was one thing; turning them back into liquid was quite another. In the 4th century BC, Aristotle suspended balls of wool above boiling sea water to distil it and discover how clouds were formed, but that was never going to work for whisky. Later, Indian distillers used clay pots with copper heads cooled by cow dung, while those in Java preferred copper stills with tin worms, according to the Whisky Science blog. The pipe off the lyne arm at the top of the still would have been straight, until someone had the bright idea of coiling it into a worm to improve its performance. Clearly copper was easier to mould than other metals, though it would have been expensive and required a skilled coppersmith. Illicit distillers in Scotland always sought to cling on to their worm when raided by the excisemen, even if it meant abandoning the still. As for cooling those vapours, some would have simply submerged the worm in the local burn. A more practical solution was a barrel full of water – or worm tub as it became known. In 1771, Christian Weigel invented a sealed condenser out of glass for laboratory use, which became the prototype for the modern, copper, shell-and-tube condenser you will find in most malt whisky distilleries today. More efficient and compact, such a condenser is considerably cheaper than a worm with the equivalent surface area, and is easier to install. A worm may last slightly longer, but is obviously more costly to maintain. Worms and worm tubs clearly work, but the same was probably true of those early condoms made of sheep’s intestines. If the invention of vulcanised rubber in 1839 signified progress for prophylactics, surely it was the same for shell-and-tube condensers and whisky? Well, no – or at least not for the many fans of the humble worm. 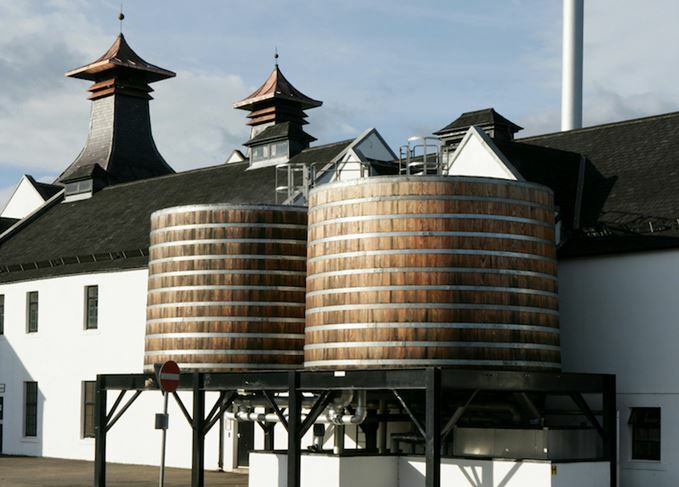 One-third of market-leading Scotch whisky company Diageo’s malt distilleries have them, including all the original Classic Malts apart from Lagavulin – and not through any misty-eyed nostalgia. ‘It’s great to have our worm tub distilleries as part of the mix,’ says Dr Jim Beveridge, Johnnie Walker’s master blender. Meanwhile, Leonard Russell, managing director of Ian Macleod Distillers, is convinced that they helped make Rosebank a truly unique whisky, and he plans to restore them having bought the distillery last October. Up on Speyside, the new Ballindalloch distillery has worms, as does Ardnahoe on Islay. Learning how to run a successful worm is clearly harder than a modern condenser, given the variables involved. There’s the length of pipe exposed to the air before joining the worm, the ambient temperature outside, the water temperature, the rate of flow through the tub, and the fact that every worm is different. If ‘Diageo is the king of the worm tub,’ to quote Jim McEwan, of whom more later, then Inver House is its prince in waiting, with all but Balblair fitted with worms among its five distilleries. Harvey had never worked with them in his previous whisky career, and remembers thinking: ‘Whoa, what’s this? !’ But he has since become a huge enthusiast for worm-powered whiskies. He continues: ‘Basically a worm keeps the sulphur compounds in the new make spirit to give you a bigger, heavier style of whisky. There are those meaty, vegetable, coal gas, sulphury notes in our new make, which is good – it’s what we want. Mention of sulphur risks retribution on a biblical scale from a certain whisky writer, even if some of us like that faintly funky lick of brimstone in our dram. While that debate rages on, let’s just say there’s good and bad sulphur in Scotch whisky, with the latter often caused by running the stills too hard to allow sufficient reflux. If so, even the shiniest shell-and-tube condenser might struggle to strip out those off notes of boiled cabbage and rotten eggs. The same would be true if you allowed some feints to slip into the middle cut, points out Jim McEwan, production director at the new Ardnahoe distillery on Islay. ‘I’ve never distilled with worms,’ says McEwan, who spent many years at Bowmore and Bruichladdich. ‘But I had this fascination with them – this snaking coil; it’s almost Egyptian-like. Whether this will give him the purer, lighter spirit he is after is another matter. A shell-and-tube may be faster, but it contains a far greater surface area of copper, and from the experience of Harvey and others, McEwan may be disappointed – but in a good way if it adds weight and complexity to Ardnahoe’s new make character. He will know soon enough when the new stills are fired up at Ardnahoe in a few weeks’ time. But of course the other great thing about worm tubs, steaming away on a cold winter’s night, is that they provide the lonesome distillery manager with another attractive feature: his/her very own hot tub. Take inspiration from these travel titles for your next whisky adventure.